The Avg. Group Discount is 13.6%! The JW Marriott Marquis Miami is situated in the 1 billion dollar new Metropolitan Miami development. Opened in November 2010, the first to market JW Marriott property features 313 guestrooms, inclusive of 56 suites, along with a broad array of amenities, including renowned chef, Daniel Boulud's db Bistro. Offering a diverse setting for business, meeting and pleasure travel pursuits, the 41-story hotel features three concierge levels; 80,000-square feet of total function space including a 20,000 sq. ft. Grand Ballroom; and one of the most unique indoor sports, lifestyle and entertainment complexes of any hotel in the U.S. The 50,000-square-foot, two story indoor facility includes a NBA approved basketball arena, tennis court, indoor Golf School, virtual bowling alley, billiards, Rina Yoga studio, a full-service salon & spa and much more. The JW Marriott Marquis Miami is located at 255 Biscayne Blvd. Way, Miami, FL. ThreeFortyFive Restaurant: Your destination for a delicious breakfast, a la carte or buffet. The chart above shows trends of prices for both our group prices and the best individual traveler prices our system could find at the time the group/meeting bid was submitted. The best group discount displayed is 36.1% in the month of March 2017 and the highest average individual rate is $624 in the month of March 2017. This chart will show past seasonality and also project future months. If you are flexible with dates, you may want to consider staying at JW Marriott Marquis Miami in a month when rates are lower. 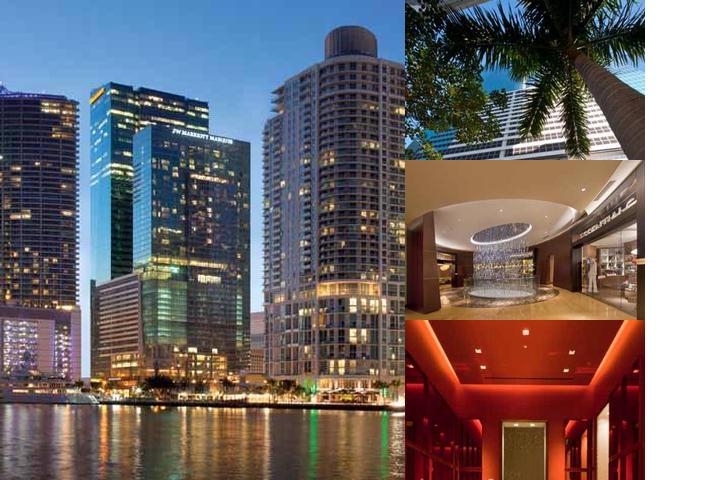 Below are the meeting, banquet, conference and event spaces at JW Marriott Marquis Miami. Feel free to use the JW Marriott Marquis Miami meeting space capacities chart below to help in your event planning. Hotel Planner specializes in Miami event planning for sleeping rooms and meeting space for corporate events, weddings, parties, conventions, negotiated rates and trade shows. 111 x 75 x 24 Ft.
210 x 50 x 50 Ft.
26 x 26 x 9 Ft.
19 x 13 x 9 Ft.
39 x 39 x 9 Ft.
32 x 36 x 9 Ft.
79 x 90 x 50 Ft.
114 x 69 x 50 Ft.
29 x 24 x 9 Ft.
31 x 111 x 9 Ft.
111 x 166 x 23 Ft.
32 x 24 x 9 Ft.